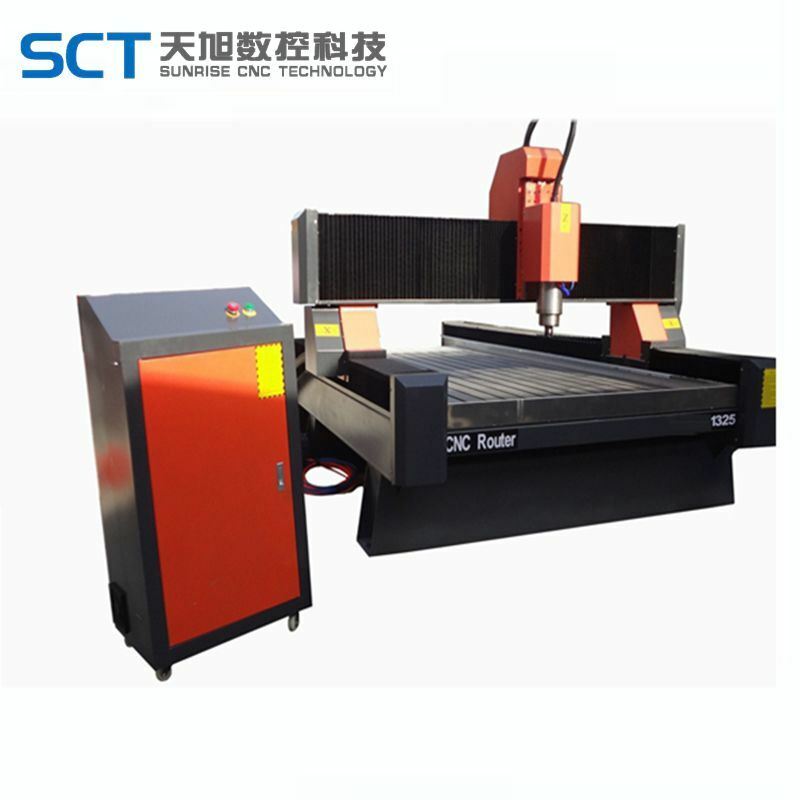 1, the software: for UncGraphics.NX3.0, Mastercam9.0 Other software, set the CAD / CAM as a whole, through digital analysis, design, the product was processed to support procedural pre / igs / scep / dxf / dwp and other documents. 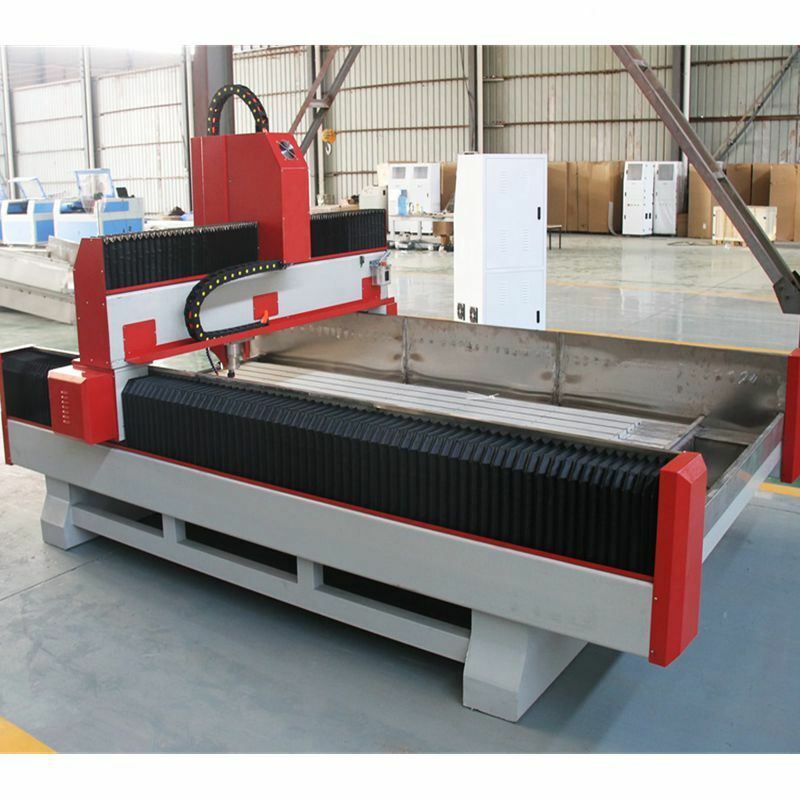 2, the ATC system: vertical-type ATC system makes the whole process from the hole, cutting, shaping and polishing to a variety of milling processes go, the full realization of a high degree of automation. 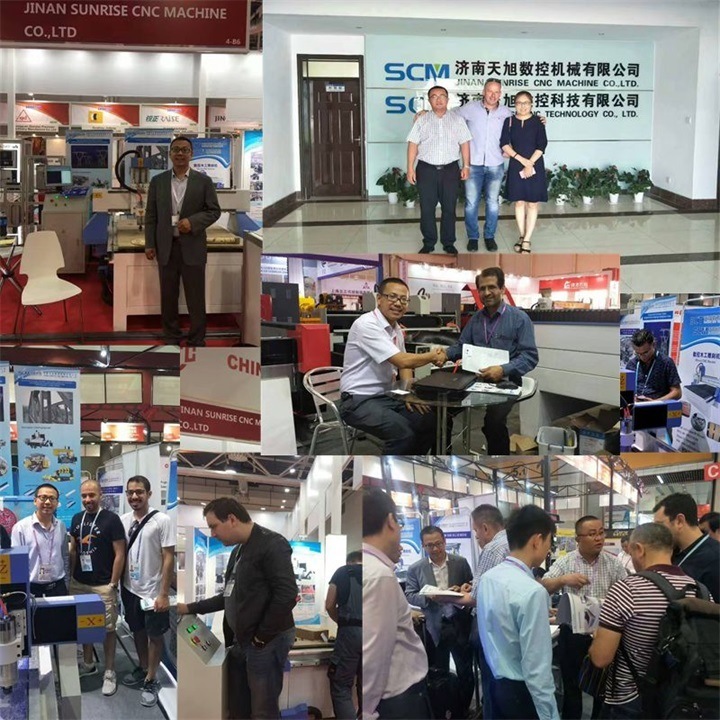 3, the tool and abrasive: with a large number of imported and domestic variety of tool and abrasive and shapes, and a variety of processing requirements. 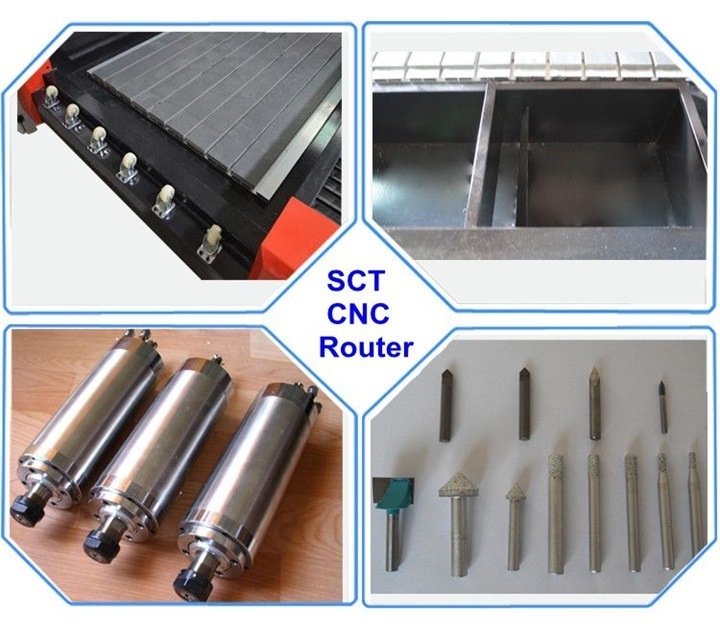 4, high-precision screw and guide: the use of screw, guide renowned German manufacturer has provided. X, Y axis using the original oil-immersed lubrication. Coupled with effective waterproof, dustproof structure 'to ensure high precision machining and screw maximize service life of the rail. 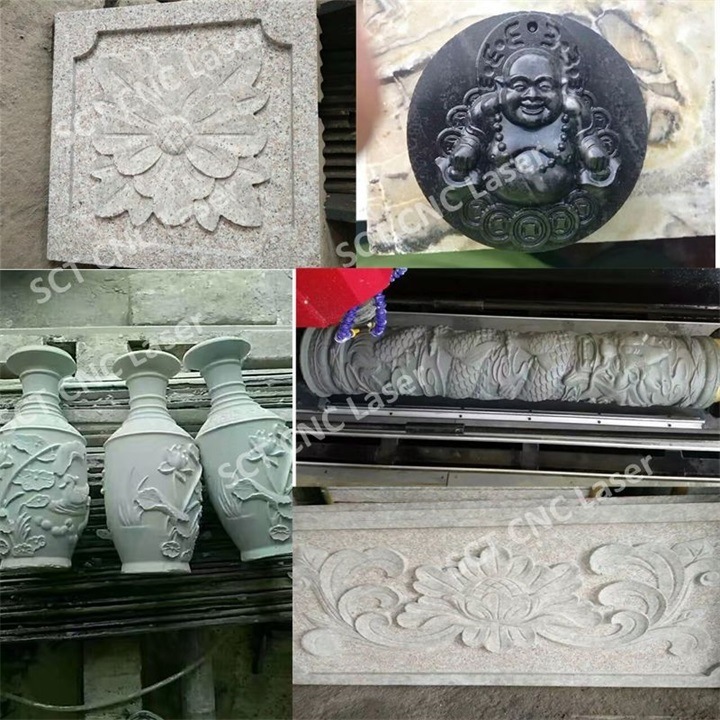 Applicable materials of stone serious: 3D relief on Marble, Glass, tile, granite, white marble, sandstone, metals, etc. 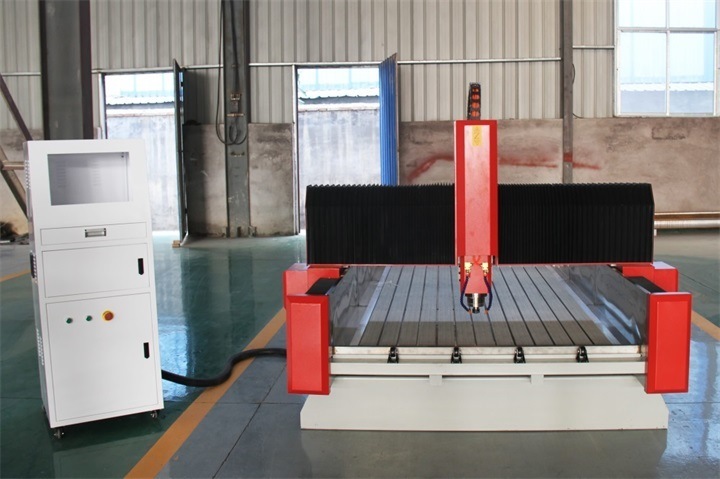 Applicable materials of wood serious: Wood, arcylic, PVC, MDF, artificial stone, organic glass, plastic and soft metals Such as copper, aluminum plate engraving and milling process. 1. 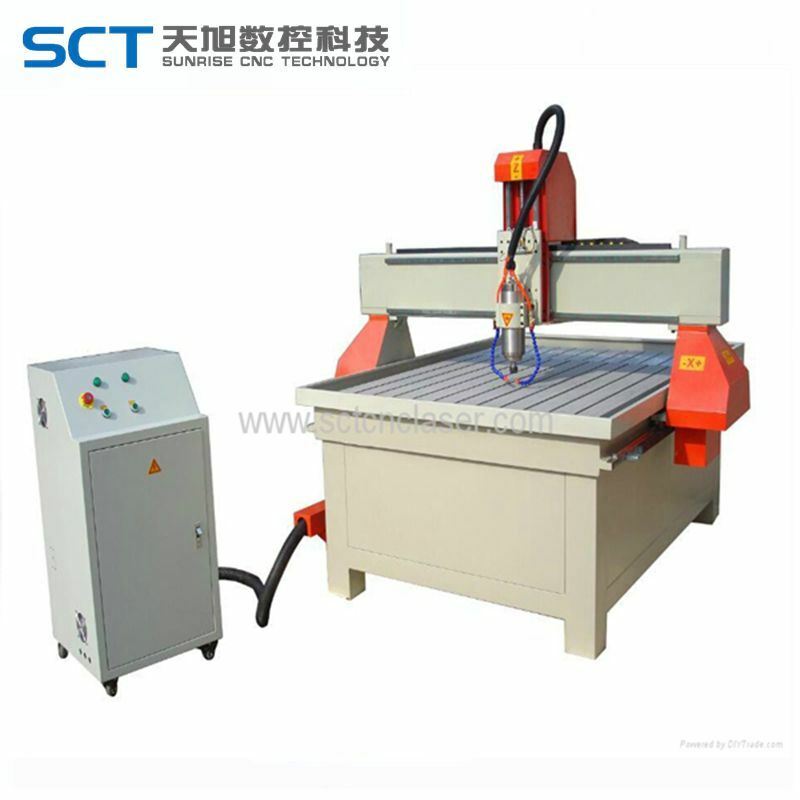 SCT Stone Marble CNC Router machine and accessories are first covered by plastic sheet, water-proof and dampproof. 3. 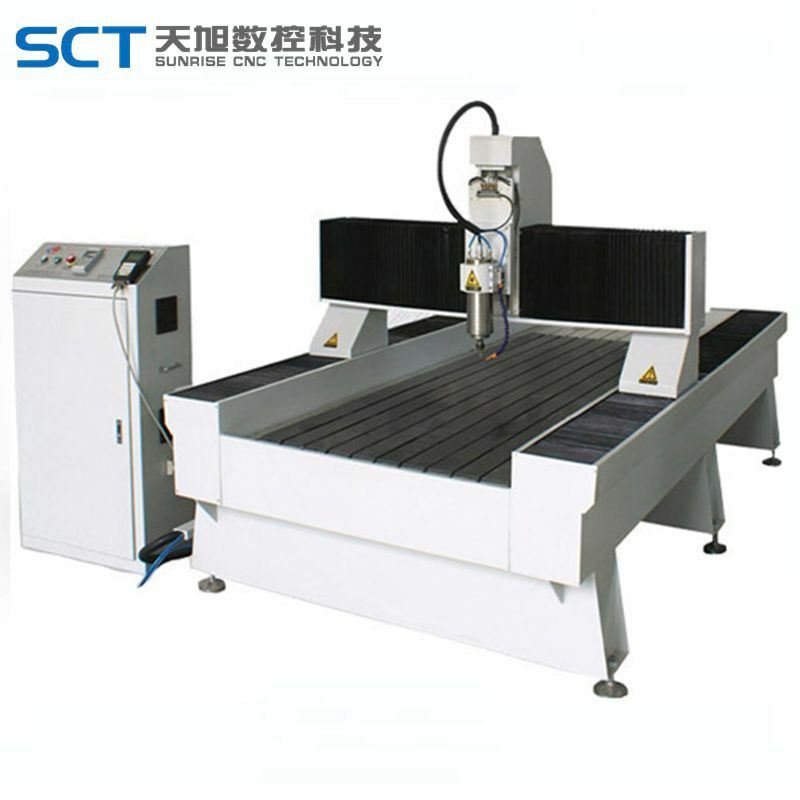 SCT CNC Stone Engraving Machine Can be delivered by sea, by train, or by plane according to your designated. Q1.How do you get the best price? Q2.In case of failure, how to do? Call us----our engineers are online for 24-hours, and ready to serve you. 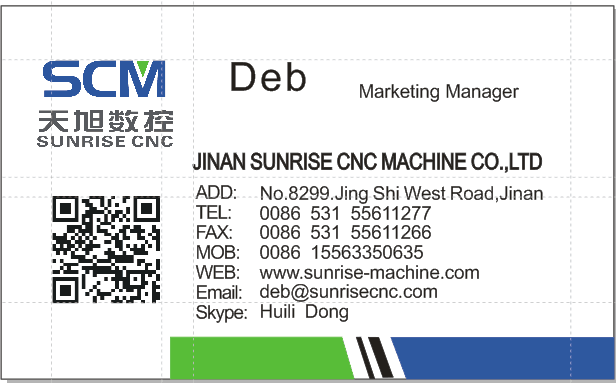 The CD and operation manual----It shows the most common failure in working processing and how to solve this problems. 1. 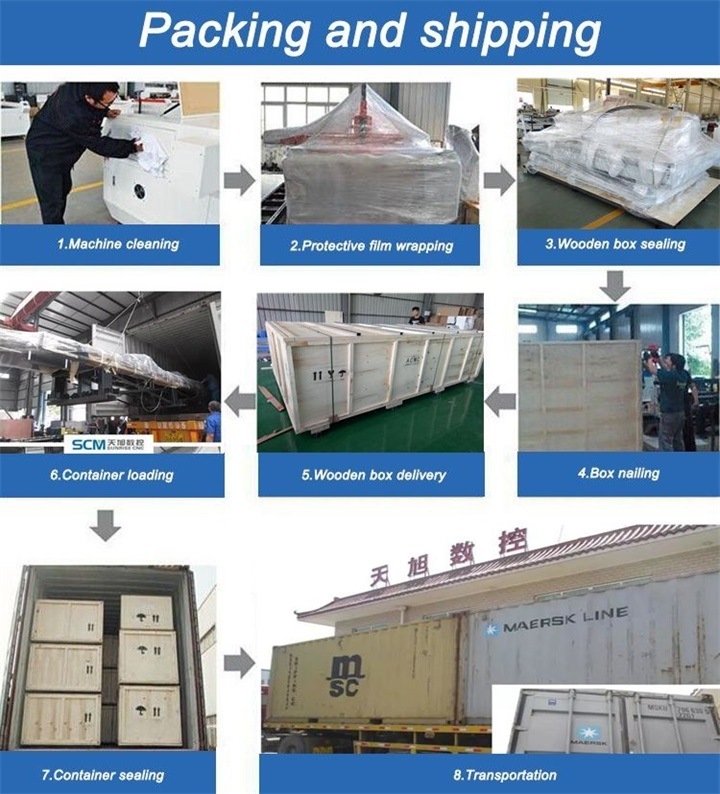 FOB----The nearest port is Qingdao port, and we can also delivery the machine to other port according to your request. 2. 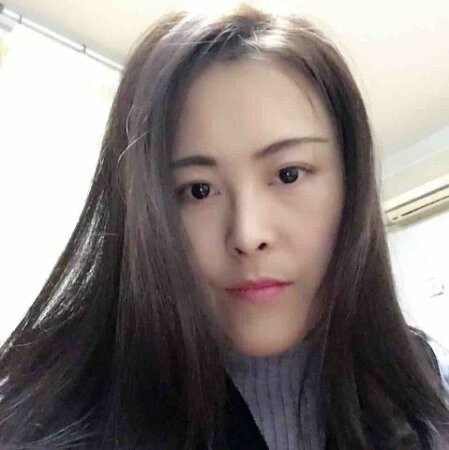 CIF-------Please tell me what the destination port is when you need CIF price. 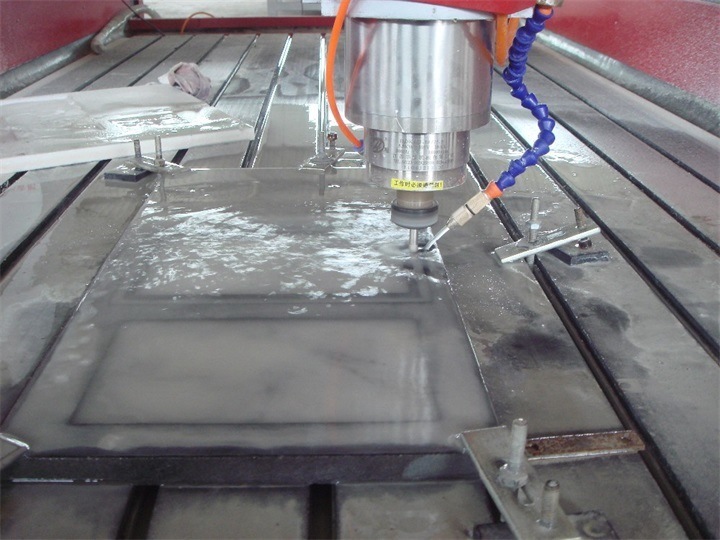 Looking for ideal 3D Relief Stone CNC Router 1325 Manufacturer & supplier ? We have a wide selection at great prices to help you get creative. 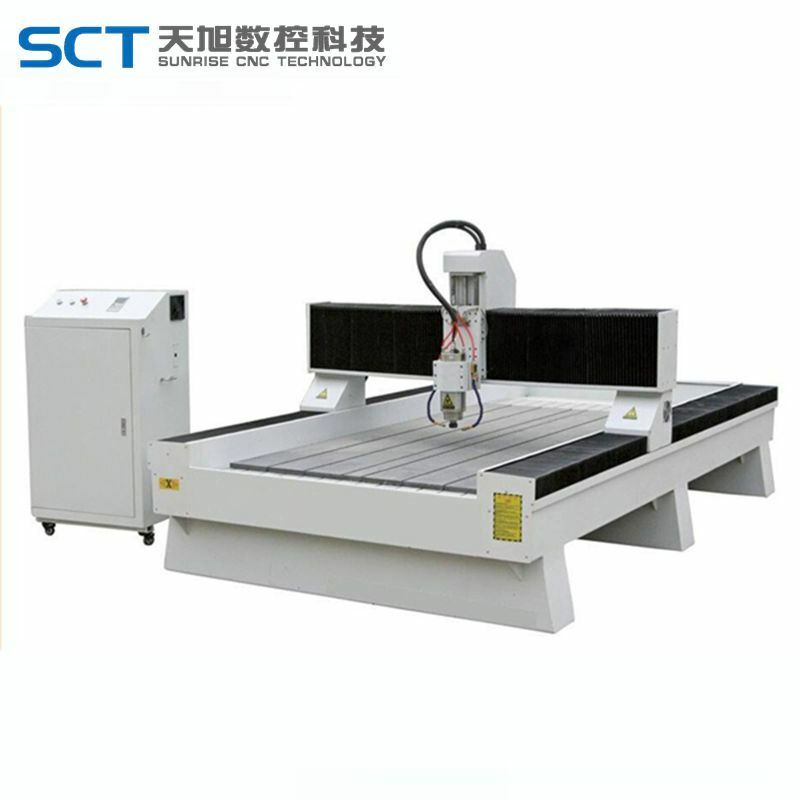 All the Affordable Stone Cnc Router are quality guaranteed. 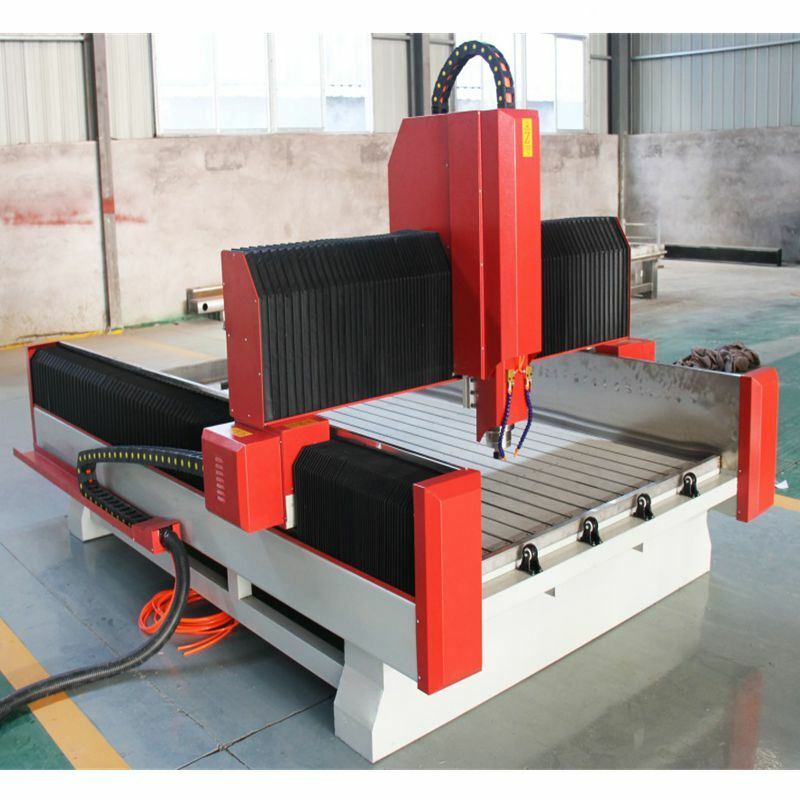 We are China Origin Factory of 4 Axis Stone Engraving Cnc Router. If you have any question, please feel free to contact us.